Mancunia is both a real and an unreal city. In part, it is rooted in Manchester, but it is an imagined city too, a fallen utopia viewed from formal tracks, as from the train in the background of De Chirico’s paintings. In these poems we encounter a Victorian diorama, a bar where a merchant mariner has a story he must tell, a chimeric creature – Miss Molasses – emerging from the old docks. There are poems in honour of Mancunia’s bureaucrats: the Master of the Lighting of Small Objects, the Superintendent of Public Spectacles, the Co-ordinator of Misreadings. Metaphysical and lyrical, the poems in Michael Symmons Roberts’ seventh collection are concerned with why and how we ascribe value, where it resides and how it survives. Mancunia is – like More’s Utopia – both a no-place and an attempt at the good-place. It is occupied, liberated, abandoned and rebuilt. Capacious, disturbing and shape-shifting, these are poems for our changing times. In a collection that constantly defies expectation, the British poet offers a strikingly imaginative portrait of the Manchester in which he lives. There are many ways of occupying a city and Michael Symmons Roberts, in his superb, substantial and intricately varied seventh volume, reminds us it is a complicated business: we live in cities imaginatively as well as actually. Sometimes, we are painfully adjacent, shallow-rooted, trying to take hold. 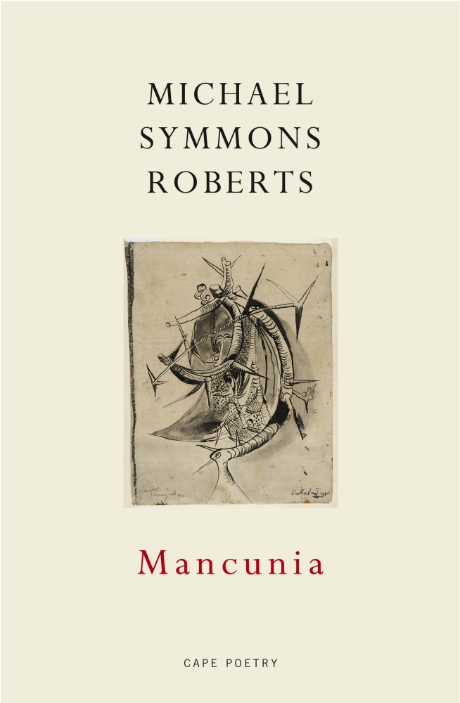 This book offers only a notional portrait of the Manchester in which Symmons Roberts lives. It has become Mancunia, the city as it exists in his mind. This is his first collection since the masterly Drysalter, which won the Forward prize and Costa poetry award, and was, you might have reasonably supposed, an impossible act to follow. Yet with each reading of this volume, one sees more – as one’s eyes adjust to the dark. For in many of these poems light is wanting (in both senses of the phrase). Mancunian Miserere is a good example of a poem about going against the city’s grain and his own. He wishes to atone for a “constancy of inattention”, while the poem offers evidence of the contrary on a tormented walk down Cross Street (the city a version of his own body). I love the peculiar detail about the “undersides of leaves” prefiguring a storm, and the implication that if he knew to notice this, it would somehow help him. Symmons Roberts’s writing runs as unhindered as the rain he describes. Yet he registers the way in which he feels blocked: “prise my teeth apart O God that I might learn to praise”. The stumbling block is that emphasising the positive can seem inauthentic or impersonal. Master of Lighting Small Details (honouring a Mancunian bureaucrat) is a poem that could be taken as a riposte to Robert Frost’s The Road Not Taken – the road not taken resembling the love unspoken. the glimpse of it was meant for him, and walk my path as it were his own. It is a charmed moment, but hastily shelved – the light put out. One of the wonderful things about Symmons Roberts is his way of pushing poems – and himself with them – in a direction you were not expecting. He constantly reconstitutes the world. Symmons Roberts scoops up that remaindered dark in handfuls. And possibly the best poem in the collection is In Paradisum, about Manchester’s refugee children. Here, Symmons Roberts reminds us of how easy it is to see human extremity without seeing it – a moving feat in what is a first-rate collection.